Interweaving his account of the Steven Avery trial at the heart of Making a Murderer with other high profile cases from his criminal defense career, attorney Jerome F. Buting explains the flaws in America’s criminal justice system and lays out a provocative, persuasive blue-print for reform. 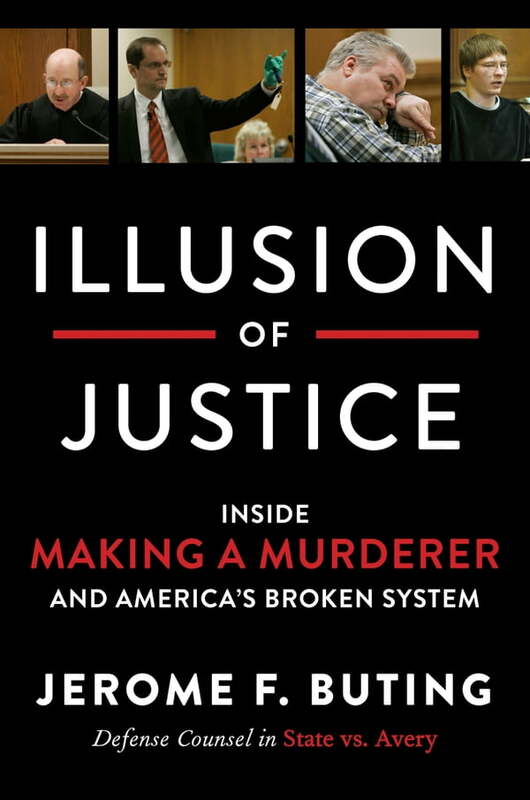 Combining narrative reportage with critical commentary and personal reflection, Buting explores his professional and personal motivations, career-defining cases—including his shocking fifteen-year-long fight to clear the name of another man wrongly accused and convicted of murder—and what must happen if our broken system is to be saved. Taking a place beside Just Mercy and The New Jim Crow, Illusion of Justice is a tour-de-force from a relentless and eloquent advocate for justice who is determined to fulfill his professional responsibility and, in the face of overwhelming odds, make America’s judicial system work as it is designed to do.